We recently reviewed the Acer Aspire 5745PG-354G32Mn, a mid-priced touchscreen laptop that impressed us with its solid performance and build quality. 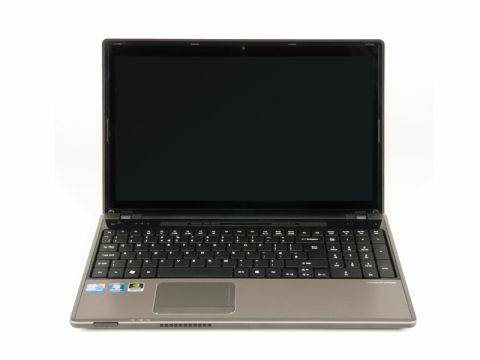 The Aspire 5745PG-5464G32Mn is an update of that model, with a boost in power courtesy of a Core i5 processor and Nvidia' s Optimus technology. Besides the Toshiba Satellite L670 and a selection of Lenovo laptops such as the ThinkPad Edge, you' ll have to search pretty hard to find a Core i5 portable for the Acer Aspire 5745PG' s asking price of £650. The addition of Nvidia' s Optimus technology, which allows the laptop to automatically switch between basic integrated graphics and powerful dedicated graphics, makes the Acer Aspire 5745PG even more of a steal. It' s a great family laptop, one which Dad can use for his accounts and Mum can browse the web on, and now any resident teenagers can use it to play the latest games. But has Acer managed to make the touch screen any less gimmicky?